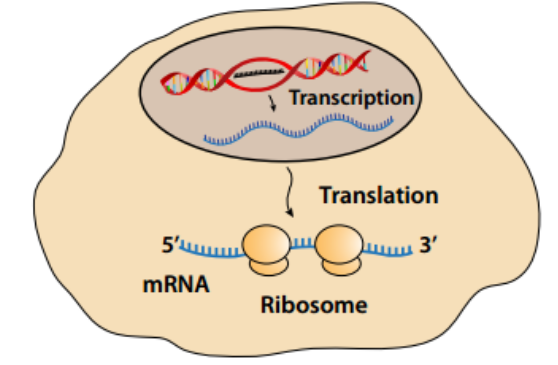 Underscoring the value of measuring gene expression at the level of translation has led to the development of ribosome-profiling techniques. Ribosome profiling is a direct method for determining the precise mRNA region being read by the ribosome, to examine the transcripts associated with the translation machinery directly. Ribosome profiling providing a cellular snapshot of protein production, with the potential to inform nearly every domain of biological and clinical research. Compared with traditional RNA-Seq experiments, ribosome profiling is designed specifically to measure mRNA involved inactive translation. CD genomics provides a ribosome-profiling strategy that is based on the deep sequencing of ribosome-protected mRNA fragments and enables genome-wide investigation of translation with sub cordon resolution. Using nuclease digestion, the ribosome position and the translated message can be precisely determined by analyzing the protected ~30-nt area of the mRNA template. The study of active mRNA translation with sequencing. Investigation of transcriptional control and post-transcriptional regulation. Using nuclease digestion to isolate nuclease-resistant ribosome, the translated message can be precisely determined by analyzing the protected 30 nucleotides during translation. Flexible service options，single-end or paired-end sequencing, optional reads number according to research goals.